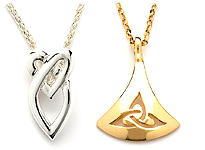 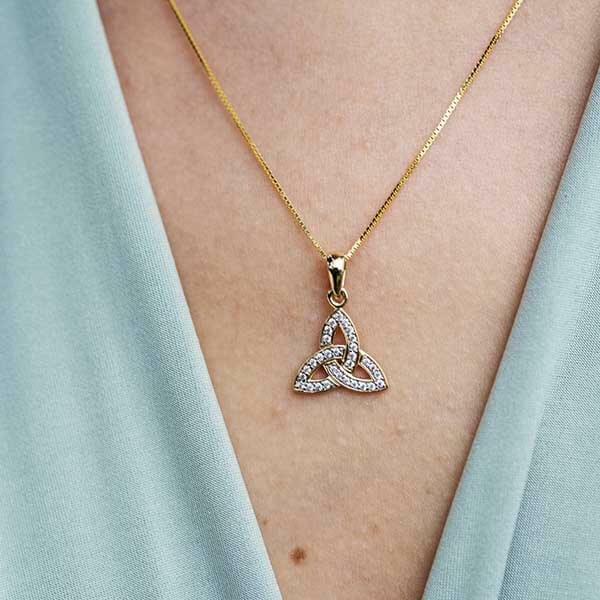 The encrusted Trinity knot necklace was simply made to sparkle. 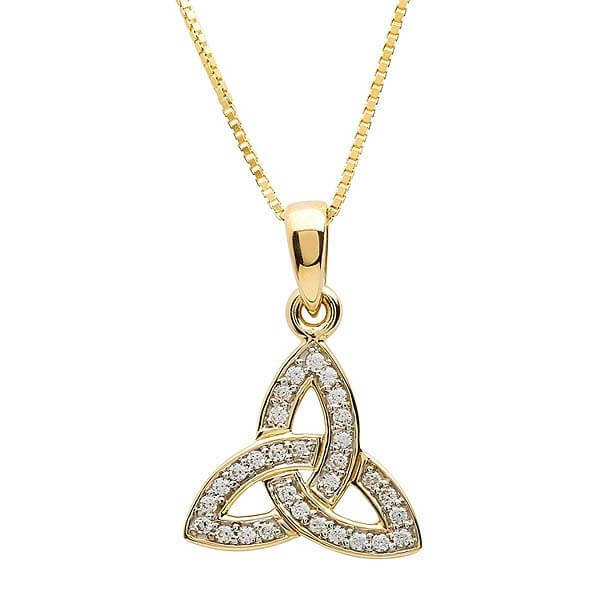 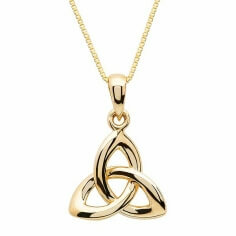 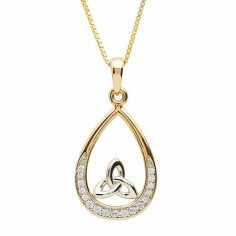 The 10 karat gold Trinity knot symbol is completed covered in sparkling cubic zirconia, all brought together by an 18 inch gold chain. 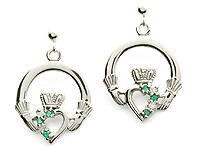 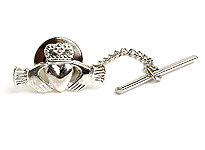 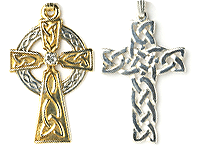 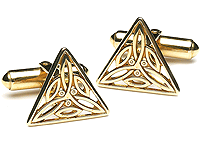 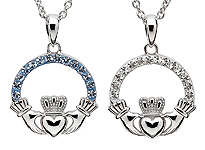 Carefully handcrafted in Ireland by experienced Irish artisans before being tested and hallmarked for quality by the Dublin Assay Office in Dublin Castle.